ACD Cup 420 2015 2nd place. Reasonable sized shop with a fairly comfortable smoking room, they have a backgammon board, TV, and internet PCs. The menu is a little on the slim side. Highlights included Orange Bud for 8.50 euro/g, and some of the bulk deals, 5 grams of W.Widow for 35 Euro. A nice coffeeshop. In the back of the counter u got a big place to chill out. Not been there, shame enough, maybe next time if I am there I gonna look around. This place is kind of small and dark, and definitely a locals place. 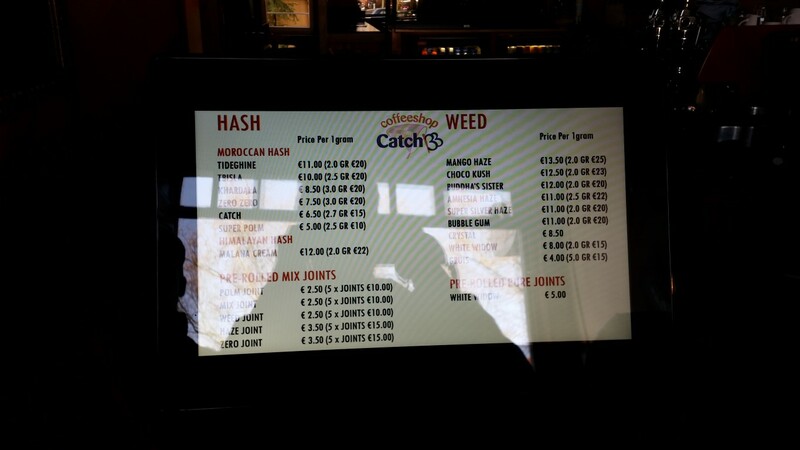 But, if you are in the area, they have super low prices and offer a quiet atmosphere to smoke. While I was there, I watch one the guys that drives a street sweeper pull up in his street sweeper, walk in, buy a joint, and go back to his street sweeping. Mixed joints for 2.5 Euro.